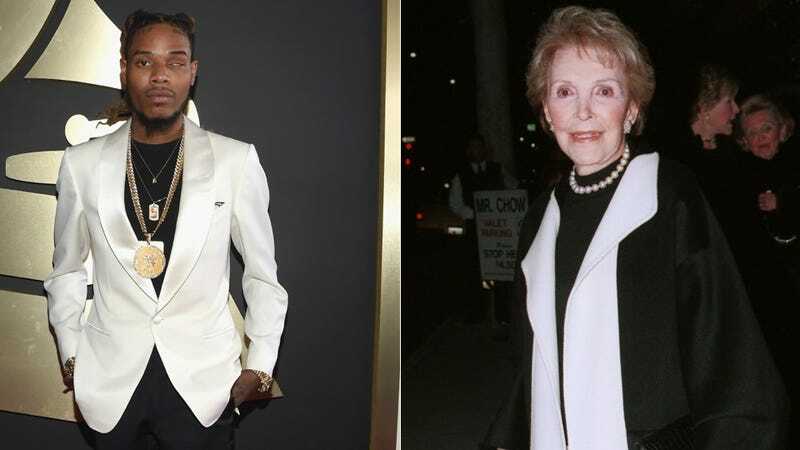 While her husband, Ronald Reagan, was linking up with Papi to flood the streets with narcotics, Nancy was on TV telling kids to “Say No To Drugs.” Her infamous “anti-drug” phrase encouraged strict laws on drug possession that led to a school-to-prison pipeline we’re still dealing with now. Blacks and Latinos went to jail in droves for possessing drugs her husband gave them. It was an incredible sleight of hand that would make any wannabe Trap Queen hide in shame for her inability to be as diabolical as Nancy. Contact the author at julianne@jezebel.com. Arya Fucks, Deal With It!